As charming and romantic as the City of Lights, Guerlain La Petite Robe Noire Eau de Toilette brings Parisian joie de vivre to life. A carefree scent with a couture touch; this bewitching Eau de Toilette wraps itself around the body like floral lace, embroidered with sparkling, fruity notes. Always chic, and always charming, it is the perfect balance of romance and temptation. La Petite Robe Noire Eau de Toilette reveals itself in three enticing waves: first comes the beauty of an armful of fresh flowers, a bewitching bouquet. Next is the playfulness of juicy fruits, including a signature cherry note. The final arabesque is a sensuous base of amber and musks, which envelop the scent in a soft halo. 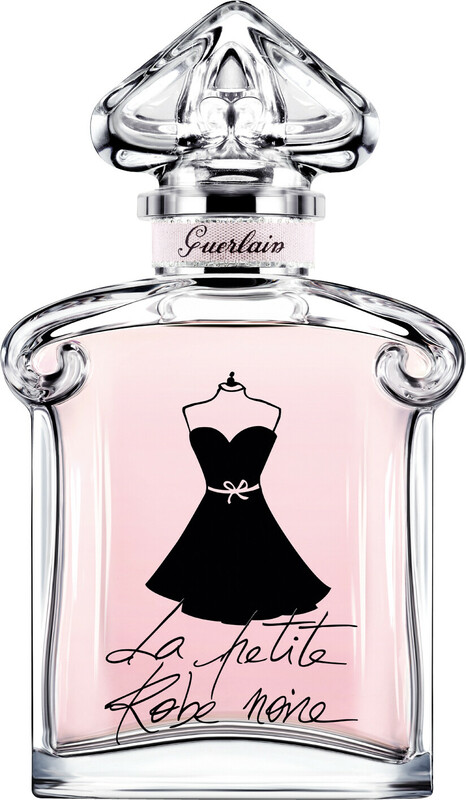 “The Eau de Toilette version of Guerlain’s super-stylish La Petite Robe Noire isn’t just the perfume in a lighter concentration, it’s an entirely different take on the fragrance altogether, evoking the image of a floaty summer dress. La Petite Robe Noire in the Eau de Toilette is much crisper, zestier and altogether more dewy. Apple and bergamot meet a sunny heart of orange blossom and a base of lively musks. It is simply delightful. GUERLAIN La Petite Robe Noire Eau de Toilette Spray is rated 4.8 out of 5 by 5. Rated 4 out of 5 by Veroniche from Too mild for me I had very high expectation after loving the EDP version since it came out. Unfortunately they were not met by EDT. It is a mild blend of rose, berries, and musc on my skin. The composition is not by fas as unique as EDP. What a pity. This is my first disappointment with Thierry Wassers work. (or it may just be my skin´s chemistry). I would recommend it to those who do not want to stand out of the crowd too much but still want be chic, as that´s what most Guerlain fragrances definitely are. Rated 5 out of 5 by valent from La Petite Robe Noire Eau de Toilette Spray It is a magical and noble scent. I mean version of toilet water. Personally, I can not hear it over the sweetness and compulsion. I feel the delicate fragrance of roses. I love it! Rated 5 out of 5 by hvwilson14 from beautiful fragrance at a great price My daughter asked for this perfume for one of her birthday presents, so after searching the internet I found it here at a really good price. It came quickly and was wrapped securely. There was lots of correspondence from the company 're delivery dates so the whole process was simple and saved me money on the high street comparisons.